On occasion and especially during the surveillance workshop you will need to be flexible about finishing times as much of your time will be spent outdoors on location and tasks, traffic and other delays can mean later finishing times. Casual dress with comfortable walking shoes required as you will be walkin to some locations as part of some of the practical assessments. You will be required to bring a laptop computer with a portable internet connection. You will also need a fully charged mobile phone which may be used on some of the exercises. On the first day of the course we will hand you Investigating Made Simple book which is included in the cost of the course. You will receive additional learning material during the course. If you cannot bring a laptop computer or do not have a portable internet connection please advise us by email to manager@trainingschool.com.aus. at your earliest convenience so that we can make alternative arrangements for you. Assignments and uploads are required to be submitted in MS Word Document files format. If you do not have MS Word or MS Office you might want the free Open Source alternative which is available here https://www.libreoffice.org/download/download/ which is legitimate software. ASSI does not provide lunch and morning tea, however, there are many cafes and take away food shops close to our venues. Please bring your own lunch if you like. Adina Hotel - Training Room - 55 Shelley Street, Darling Harbour, Sydney (Next to the Sydney Aquarium). If you are catching public transport, Wynyard train station is the closest and is about a 10 minute walk across the Darling Harbour walkway then follow the signs to the Sydney Aquarium. 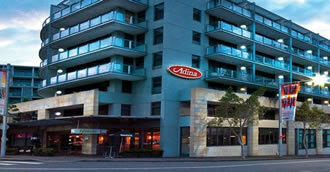 There is limited parking at the Adina Hotel for $22 per day or early bird parking for approximately $18 per day in Wilsons Parking, Kent Street about ten minutes away. 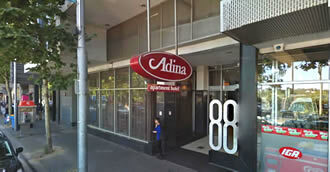 Adina Hotel - Training Room - 88 Flinders Street, Melbourne (Near Federation Square). If you are catching public transport, Flinders Street Train Station is the closest and it is about a 10 minute walk. There is early bird parking (Conditions apply) at Wilsons Parking complex for approximately $18 per day. The Wilsons Parking complex is located in Flinders Street approximately 3 min walk from the training room. No course date set. TBA.